Genius! 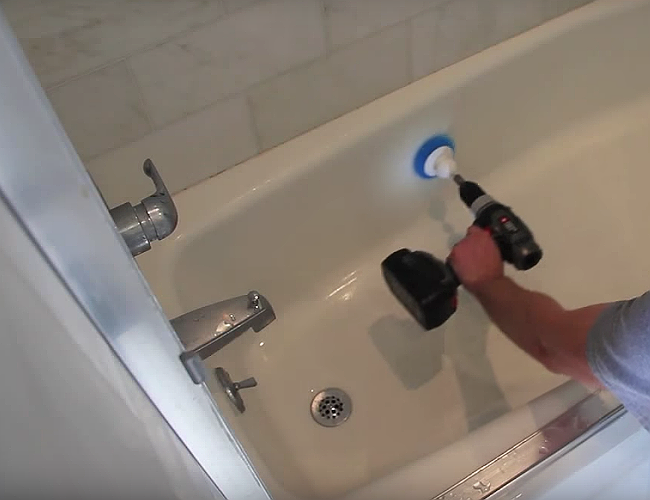 Scrub the Tub with… Your Drill? Cleaning the bathroom will always be a chore, but it doesn't have to slow you down. Here's how to power up your routine—and blast through stains and build-up faster—with your cordless drill! When his wife started her new job as an attorney, Mark Evitt took on a different role, too: househusband. Since he was still studying journalism in graduate school, Mark had flexible hours—and more time to tackle the household to-do list. As a homemaker, he learned that he loved organizing and baking bread from scratch. He didn’t even mind most of the housework, but cleaning the bathroom was especially tiring. Whether he used a sponge or a brush, wiping out old stains and grime on the tub was a tough job. 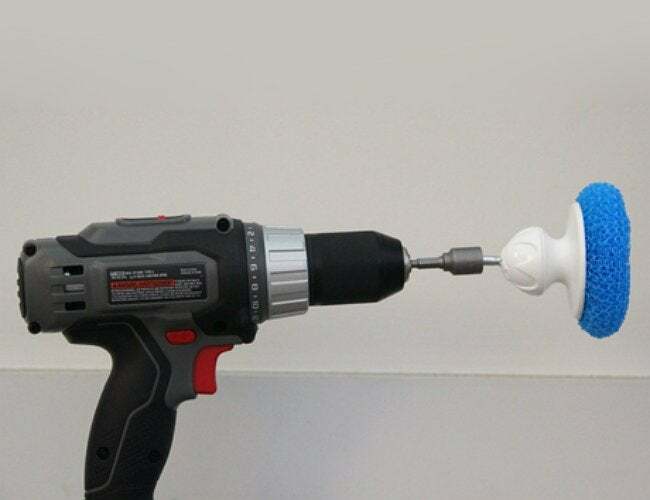 To make it feel less like work, he got some how-to help from a friend and devised a homemade bathtub cleaner that hooks up to any cordless drill or driver. Since magnets bond the driver with your bolt, you’ll want to keep your brush perpendicular to the tub in order to blast away built-up soap scum and stains. The spinning scrubber will do the rest in record time, saving you the fatigue and soreness caused by scouring. And because you can swap out the versatile brush like a drill bit, you’ll always be ready for your next repair.